Everyone in the UK seems to always complain about the weather and I can't help doing the same because the weather is a joke right now. I don't know if it's because last winter seems very far away but I think this winter seems incredibly cold. My skin feels so dry and I always have to moisturise. Funny enough, my face is not as dry as my body but it is definitely not as oily as it is during summer. 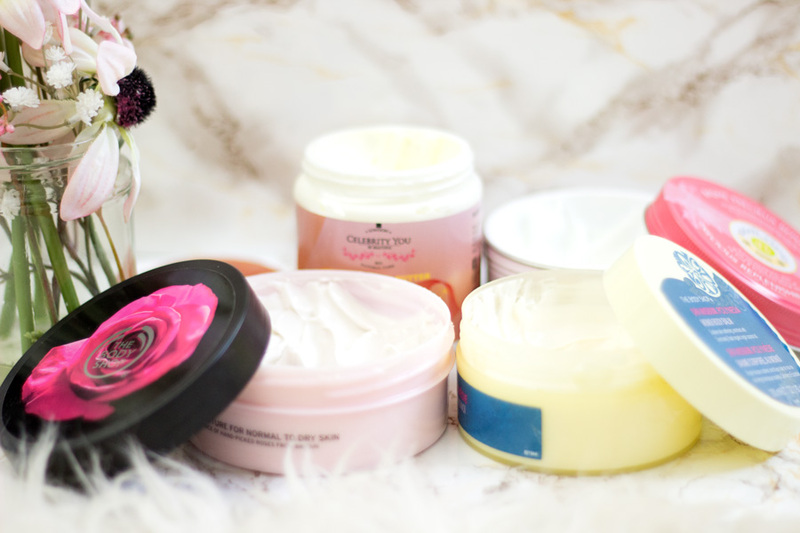 Anyway, I have put together this post to share my favourite body butters that work wonders for even the driest of skins. I love all of them and I have been rotating them for the past few cold months. The sad news about this body balm is that it has been discontinued and it hurts my heart so bad (I know super dramatic but it really does). 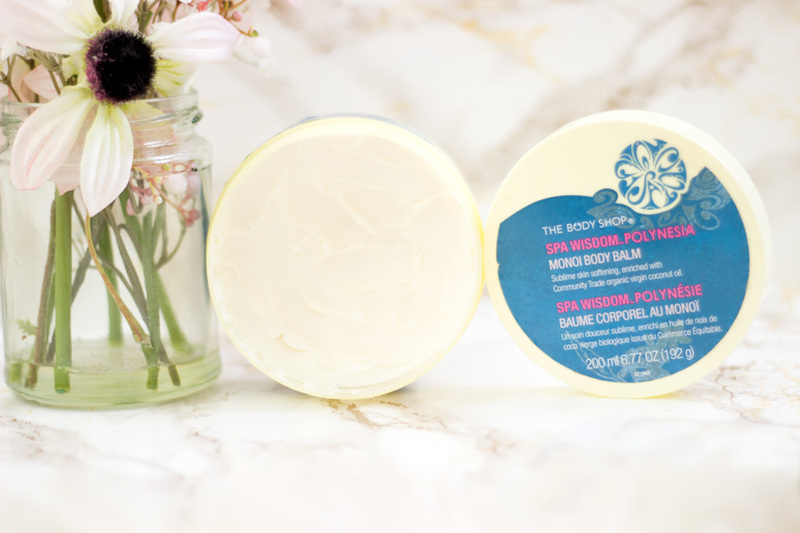 I have to say it is one of the best body balms/butters I have ever tried from Body Shop. It is designed to soften the skin and it is enriched with Community Trade organic virgin coconut oil. The other ingredients in this amazing body balm include Monoi de Tahiti, Cocoa Butter, Shea Butter, Frangipani Flower Extract, etc. It smells absolutely incredible and the fragrance lingers so beautifully on the skin. 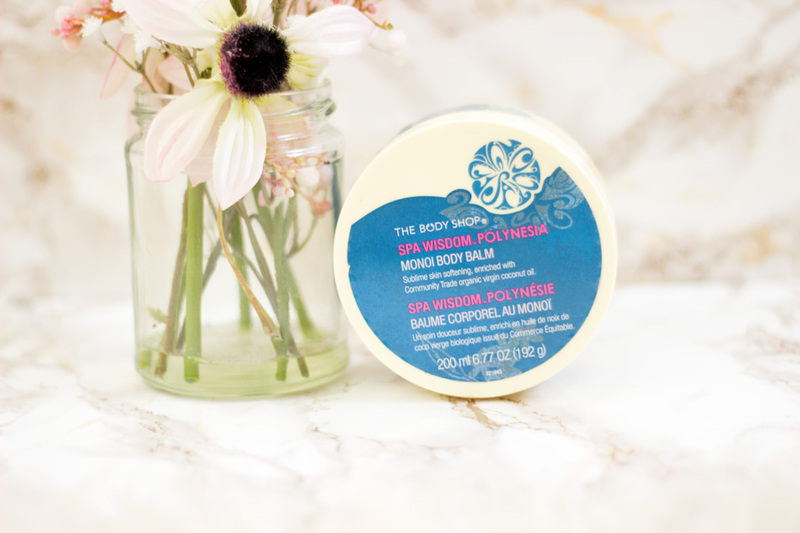 It is not a regular body butter rather it is a balm and feels exactly like one. It has a medium thick texture but it melts once it gets on skin. I love how moisturised my skin feels when I slather my body with it especially around dry areas like my elbows, knees and legs. I don't think this particular one can be purchased in Body Shop but there's something similar from the Spa of the World range here. If you are very desperate to find this, you can check out this link on Amazon although I think it is ridiculous for £14.97. 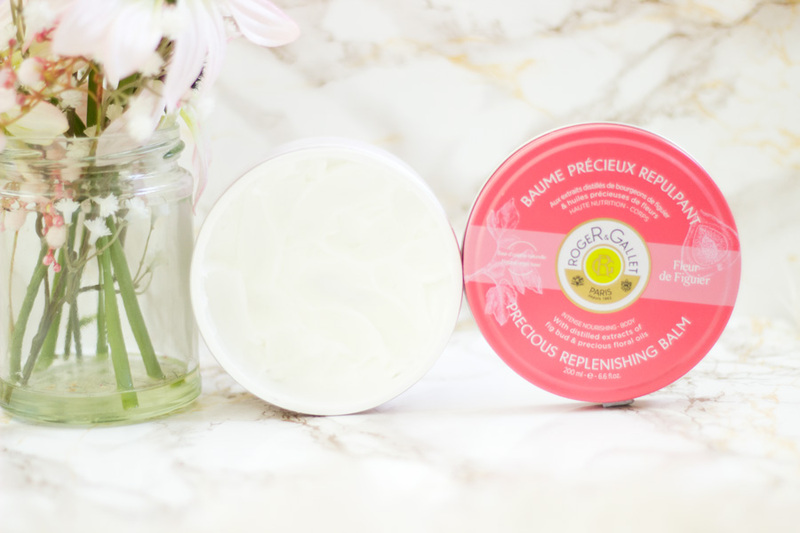 I am so delighted I got the chance to try out this Body Butter last year and it has remained a firm favourite since then. It has the silkiest texture ever and sinks right into my skin. I already wrote a full review on it on this blog post so check it out if you want more details. As the name suggests, it is infused with roses (British roses, to be precise) and it smells so gorgeous. It also gives a slight glow to the skin. 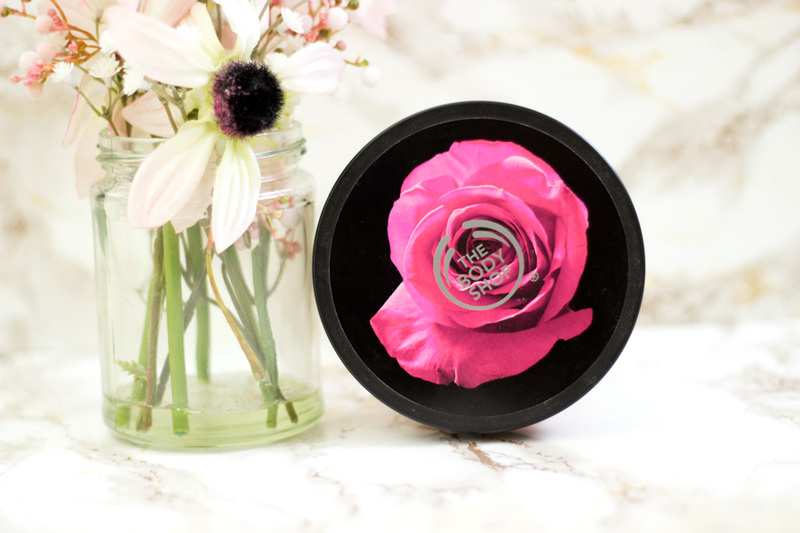 It is not the traditional matronly rose scent instead it feels quite fresh ad exotic. I use this regularly because it has both moisturising and hydrating properties. I just cannot get enough of it. I do have to mention that the tub lasts a pretty long time. Yes, I do use other body butters but I got it around Mother's Day last year and it's still going strong. I love it and I think I would repurchase it before they discontinue it. 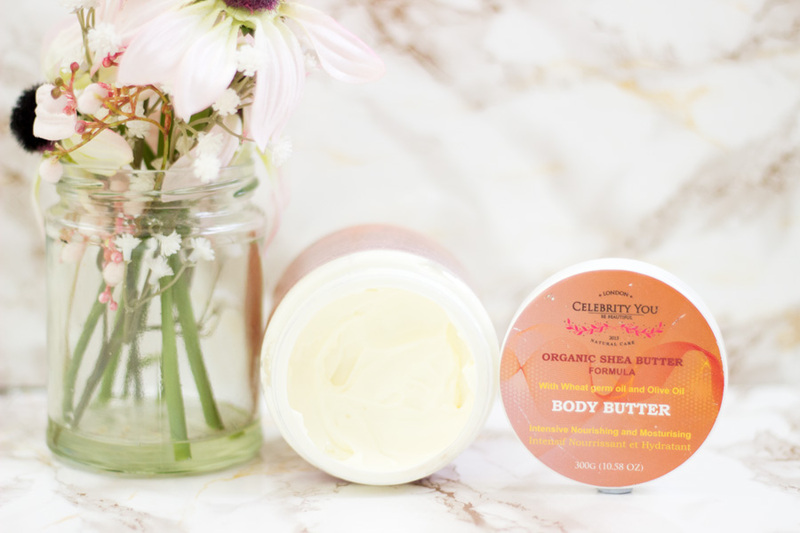 If you are after a hydrating and moisturising body butter, I would definitely recommend checking this out. Body Shop always has amazing discounts every now and again so you will be getting a good bargain. I believe Body Shop have a travel size version of this lovely Body Butter for £6 or so. 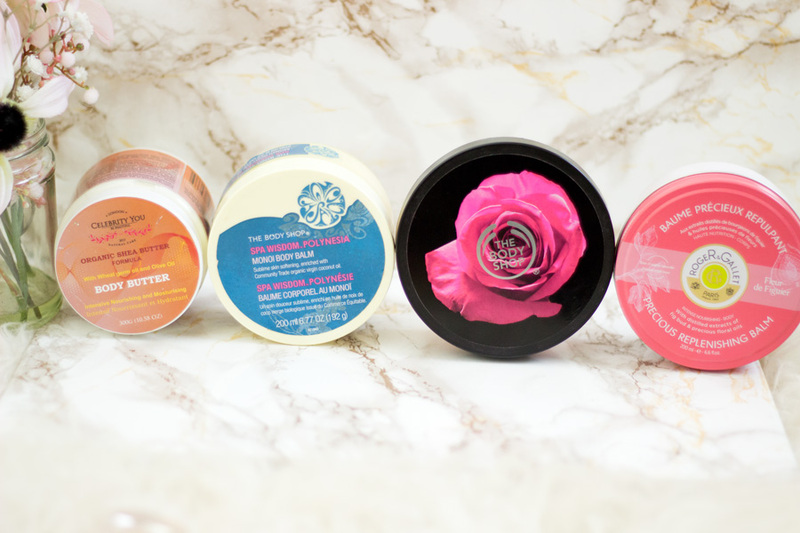 Roger & Gallet have always been incredible when it comes to body care and fragrances. Everything I have tried from them has impressed me and that's why they are one of my favourite brands. I got this body balm last year or so and it has been love all through. I fell in love with the packaging which is really unique for a body butter complete with a tin lid. The design is so pretty and I feel so happy any time I have to whip it out to use. As the name suggests, it smells very similar to Fleur de Figuier fragrance which is my favourite perfume from Roger & Gallet. The texture feels exactly like whipped butter; so light and fluffy. It is equally moisturising and hydrating like the other body butters mentioned but its light texture makes it unique. I also love that the fragrance lingers so beautifully on my body even after some time has passed. It's a winner in my stash and it is almost finished. 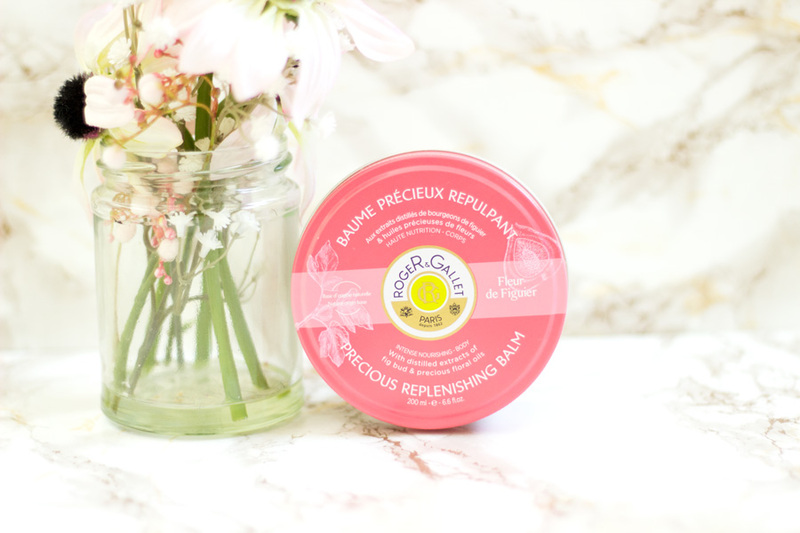 A repurchase may happen when next Escentual has their 1/3rd off French skincare brands. 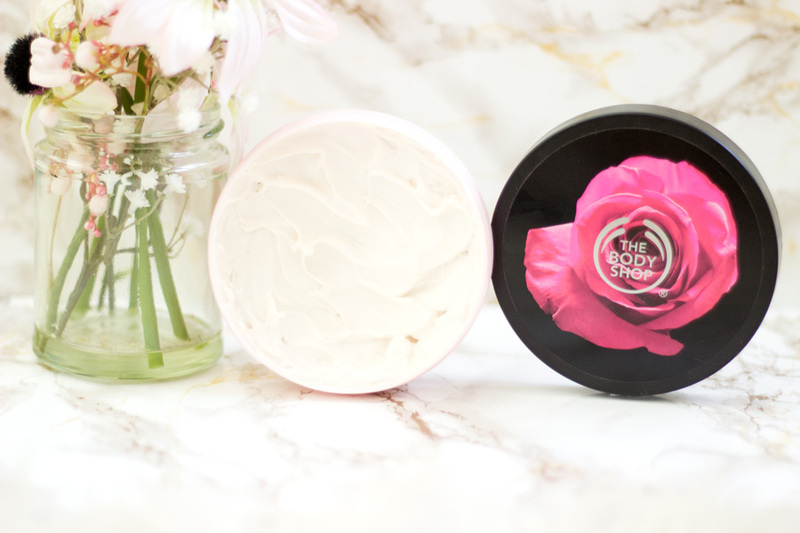 I have featured this body butter more than a few times and that's because it is a firm favourite. It's from the brand Celebrity You Natural who are known for their natural and organic products. I have tried their hair care products which I love and I am so pleased they have developed a body care line. 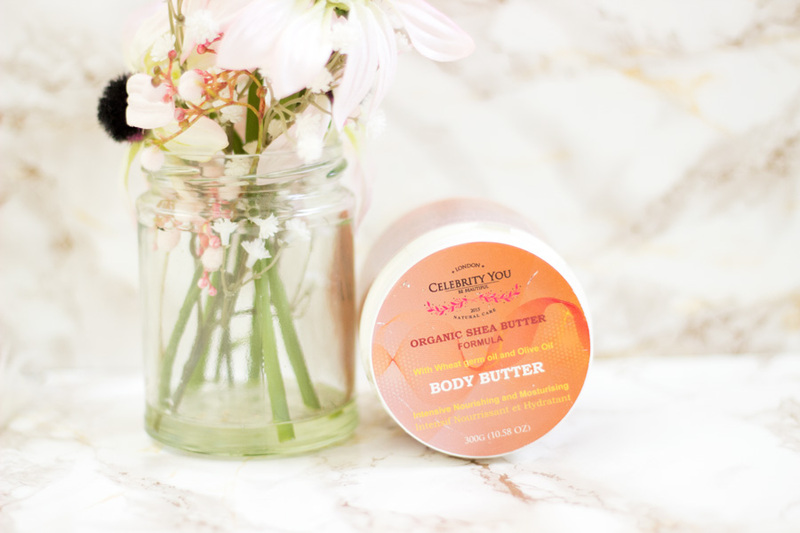 The Shea Butter Body Butter is made from Organic Shea Butter along with Wheat Germ Oil and Olive Oil so it is intensely moisturising and hydrating. The texture is surprisingly light considering that it is made with Shea Butter and other rich oils. I am not sure how they have managed this but I love it. It applies really smoothly and sinks in well yet it still prevents my skin from getting dry. It also smells so lovely and I am pleased it does not have the generic Shea Butter scent. For the price and amount of product you get, I have to say this is the best value for money. I highly recommend checking it out if you have very dry skin. These are all the Body Butters and Balms that I currently use. I already mention that I love them all and I can't choose which one is my favourite because they all bring something special to the table. 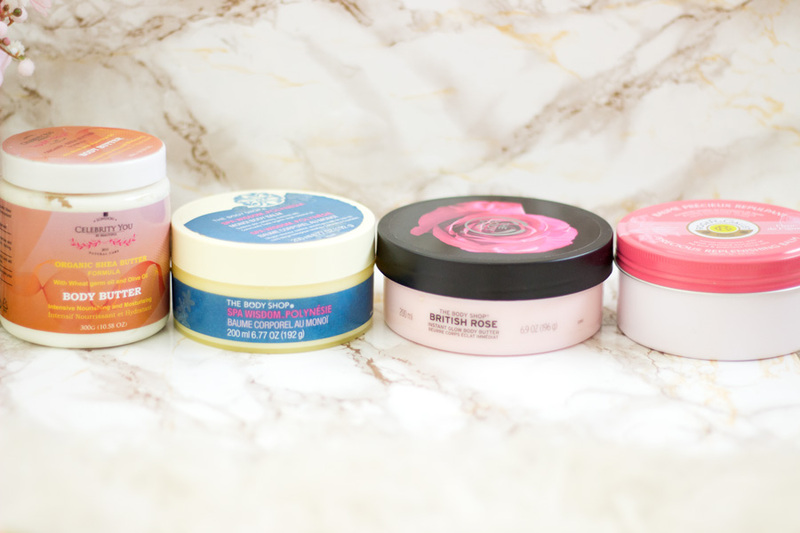 These Body Butters/Balms have saved my skin this season from looking very dry and ashy. I highly recommend checking them out if you are on the hunt for something to save your skin this winter. 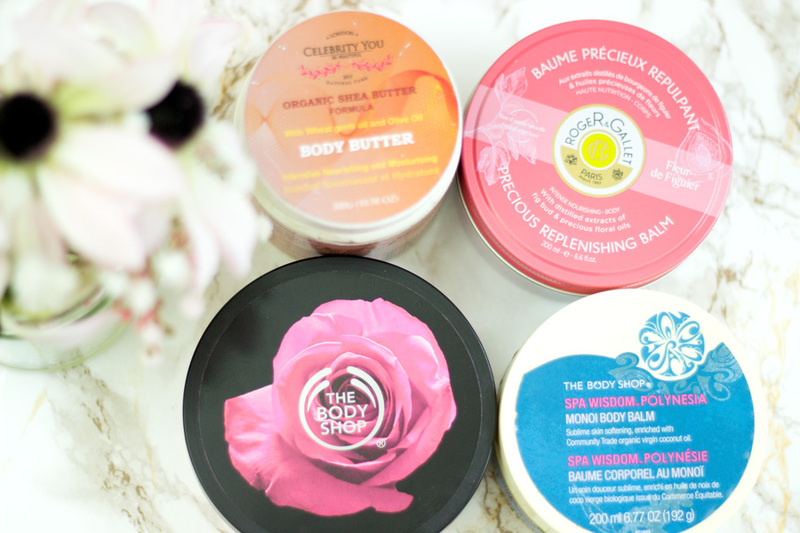 Even if it is not winter where you live but you have dry skin, I'd still check these body butters out. That's it from me and hope you have a lovely weekend. 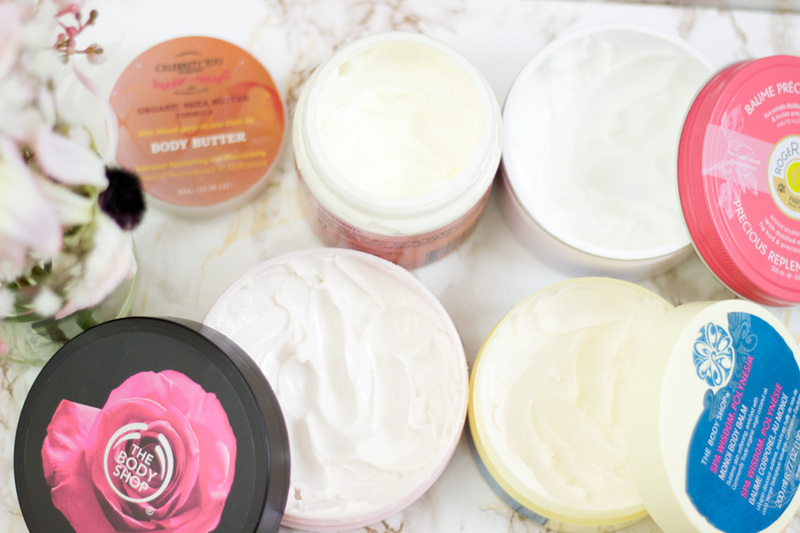 Have you tried any of these body butters? *PR Samples + Affiliate links , read my full disclaimer here. 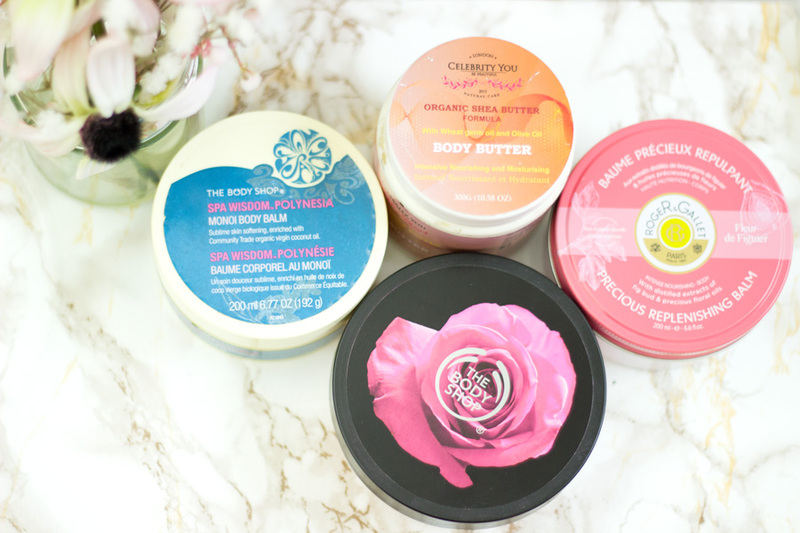 I absolutely loved every single body shop butter I've ever tried, they're amazing!